All right, we all know the BlackBerry Curve 8520 has some less then desirable specifications when compared to other devices that are currently and soon to be available. Granted, I have spoken before about the BlackBerry Curve 8520 having similarities to the BlackBerry Curve 8900 in its processor and memory allocation, and I even compared it to the BlackBerry Bold. While the BlackBerry Curve 8520 may not mean much to most folks, one thing I noticed recently is that the 8520 is making a big splash in the global market. So, while it may not have fully taken off here in the US and Canada, the writing is on the wall that the BlackBerry Curve 8520 is still quite a popular and money making device for Research In Motion and indeed does serve a purpose. If anyone has looked at the RIM press release website recently, the statements I'm making here should be quite clear. 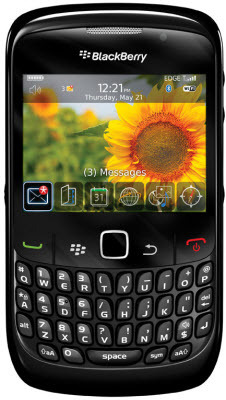 Serbia, Thailand, Indonesia, and Russia are all among the global markets wherein RIM has launched the BlackBerry Curve 8520 and these are just examples. The RIM press release page is mainly covered by other areas around the globe, and RIM is meeting demand for a cost effective BlackBerry across the board. How this will impact RIM's financial earnings remains to be seen, but clearly the BlackBerry Curve 8520 is a hit and that bodes well for BlackBerry users everywhere.